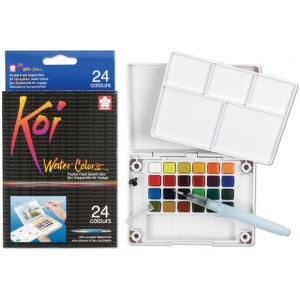 Half-pan set includes small waterbrush with self-contained water cartridge sponge and mixing wells molded in the cover. 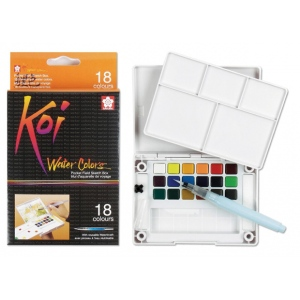 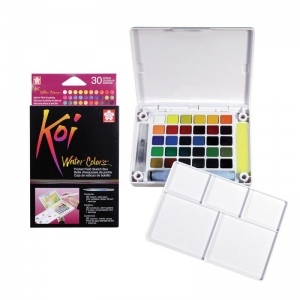 * Waterbrush cartridges allow you to create a watercolor finish with pastels charcoal and chalks. 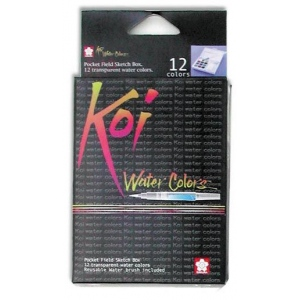 * Or fill it with water-soluble ink watercolor or gouache.